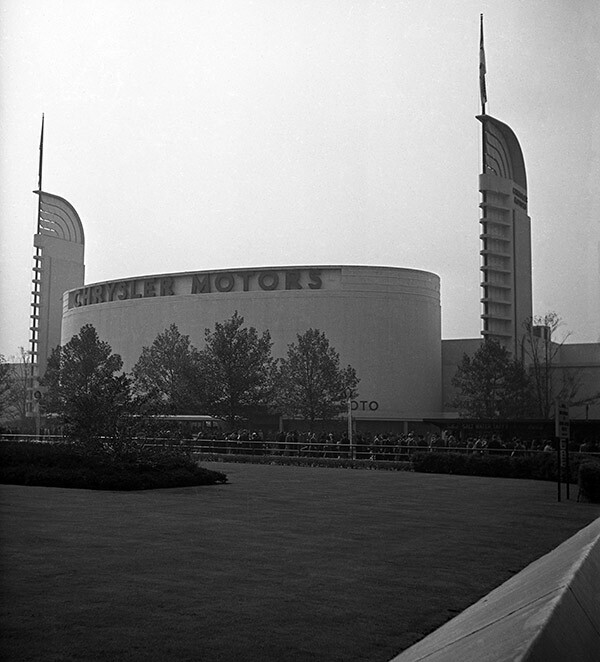 Chrysler is often overlooked (at least I tend to do this) when I think of the great NYWF pavilions. What an art deco gem it was and look at the crowds waiting to gain entrance. This is a wonderful photograph. Chrysler sure got a lot less attention than GM and Ford. Off the top of my head I can't recall reading anything about the displays inside. I know there was a film (3D) in 1939 called "In Tune With Tomorrow" which showed how a Plymouth was built. The theatre was air conditioned and that appears as a highlight in the guidebook. There was something called "The Frozen Forest" which had Chrysler, Plymouth, Dodge and DeSoto cars displayed in a "glittering" setting. But I've never seen a photograph of that display. It's funny that I have pictures of the GM and Ford interiors but zilch on Chrysler. Bill: do you have pictures showing the route of the roadway that wrapped around the building? 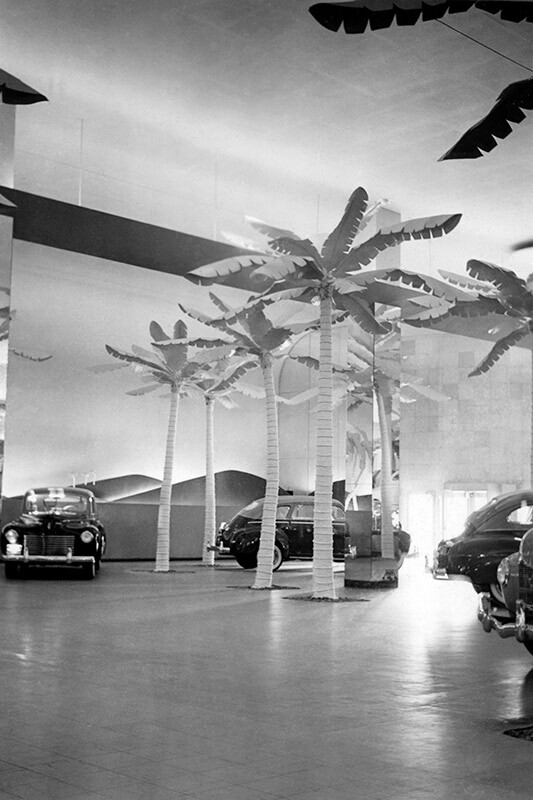 Chrysler did have one thing that General Motors and Ford did not – the Frozen Forest, which was billed as “a glade of Ice Trees.” There were forty ersatz pam trees that used pipes in their trunks to freeze ice on the “bark.” Visitors were encouraged to stay and cool off, hopefully looking at the cars in the process. The forest was the work of famed industrial designer Raymond Loewy. All they needed was a kid with his tongue stuck to one! I'm sure some tried it! I gather the crowds liked to carve their initials into the ice. Very cool, Bill. Thank you!